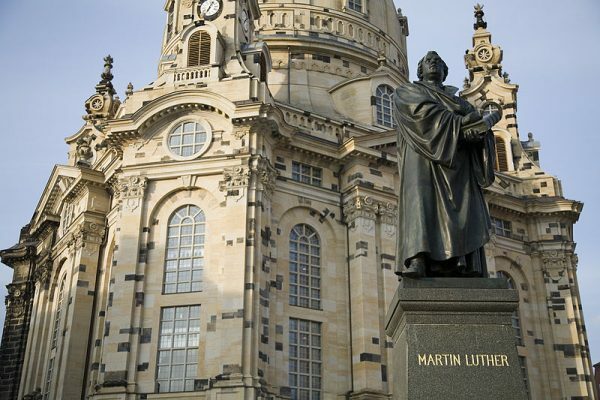 Protestants from across the globe flocked to Wittenberg, Germany Tuesday to venerate a statue of Martin Luther in honor of the 500th anniversary of the Protestant Reformation. Many in the Lutheran and Lutheran-leaning community including pastor of Torrential Downpour Church Morgan Kremin attended ceremonies that started with a morning veneration of the statue of Martin Luther located near All Saints’ Church in Wittenberg and concluded with a collection to help fund the building of several new mega-churches. Kremin went on to clarify, saying that it wasn’t at all like the selling of indulgences since the selling of indulgences meant that people were essentially paying for their salvation, while what Kremin was saying was that being a true Christian and therefore being saved is contingent on Christian’s paying for such expenditures.